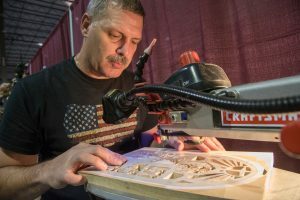 The largest carving show in America, Artistry in Wood attracts more than 5,000 shoppers and 200 exhibitors to Dayton, Ohio, every November. The show is sponsored by the Dayton Carvers Guild. Andy Chew with one of his award-winning gear clocks. Although the focus of the show is carving, scrollers are increasingly well represented. 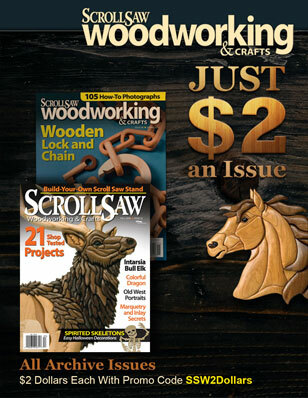 The Dayton Carvers welcome scrollers, turners, and furniture makers, and Fox Chapel Publishing has long sponsored a scrolling category in the show competition. 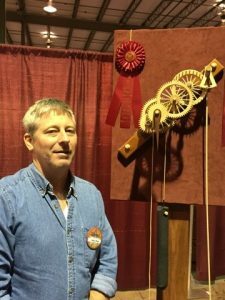 Among the scrollers at the show were Andy Chew, who showed wooden gear clocks; Howard Clements, who makes working wooden toy ornaments; Tom Gilbert and his elaborate puzzle boxes; Jim Harrell with intarsia; and Weston Hirschfeld with intarsia, fretwork, and more. Debbie Anderson both displayed and demonstrated intarsia. Among its other offerings, Artistry in Wood includes a silent auction and raffle, and the club hosts a banquet. The proceeds are donated to United Rehabilitation Services; the club has donated approximately $150,000 over the years. 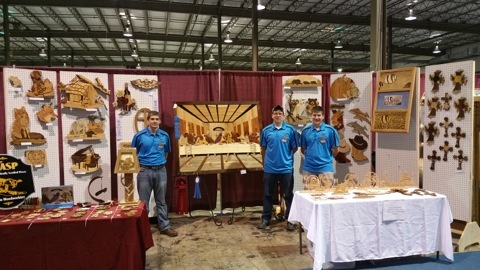 Artistry in Wood is held the second week of November in Dayton, Ohio. If you’re in the neighborhood, it’s well worth the drive. We’ll see you there next year! 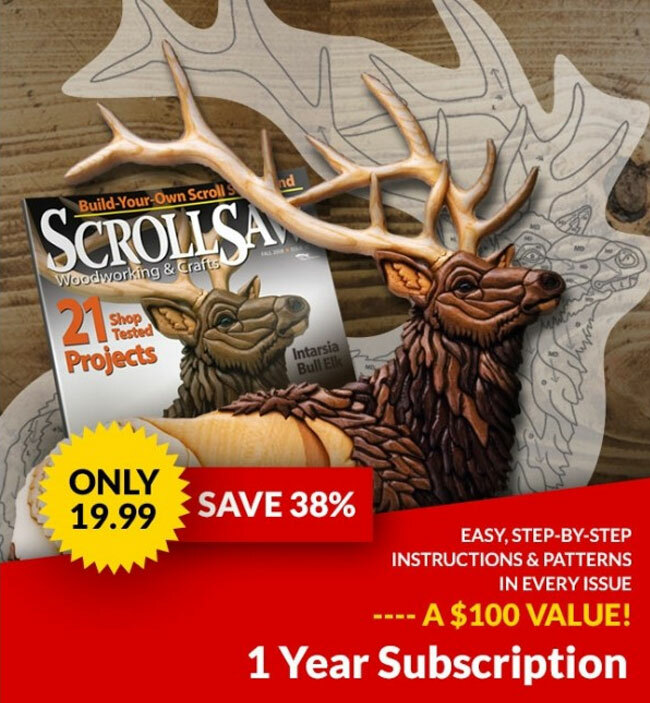 For more show info, visit http://daytoncarvers.com/artistryinwood.html. 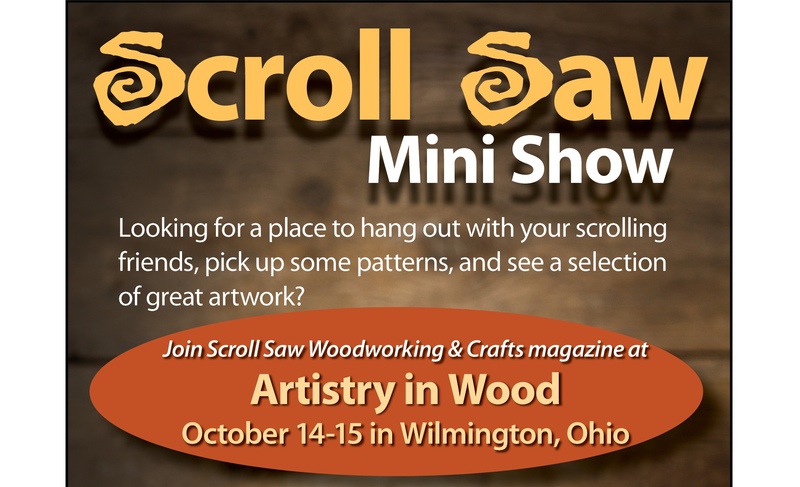 Lee McCartney demonstrates scroll sawing in his booth. Photo by Marc Featherly. Do you have photos of scrollers to share from the show? E-mail them to us and we’ll add them to the show report. Be sure to include your name and the names of the people in the photos (if different). Want to report on a different show? Send us a description of the show and a few photos, and we might post it to our website. 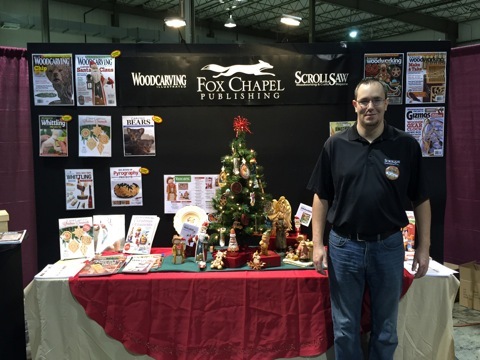 Bob Duncan at the Fox Chapel Publishing booth.